Picmonic’s main goal is to help you learn smarter and faster so you can boost your test scores and maximize your potential. Like a parent who is kind, loving, and too-cool-for-dad-jokes (okay, maybe some dad jokes), we want to teach you everything we know, like the 900 key topics and 8000+ facts, that will help you achieve your goals and a dream step score. Also, like a proud parent, we love it when we can showcase successful users, like Bill Salmon. Bill Salmon, who holds an Honors degree in Psychology from Ontario’s University of Guelph, is currently in clinical rotations in his third year of medical school at Ross University and swears by Picmonic. He says it is his tool for success in medical school. “Picmonic is designed to utilize the mind’s different encoding processes and incorporate that knowledge into the function of the Picmonic Learning System,” he explains. Salmon has taken the USMLE STEP 1 -and passed with flying colors- and he attributes his success to using Picmonic in conjunction with tough question banks like Uworld and Becker. 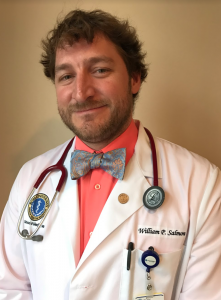 “My wife and I both passed and achieved great scores, using Picmonic as our main resource to build our foundation followed by testing our medical knowledge with Uworld” he says. While that’s impressive on its own, Salmon worked twice as hard as his peers did to reach his goals. That’s because prior to medical school he was diagnosed with mild traumatic brain injury as a result of a lifetime participating in contact sports. These chronic injuries left Salmon with cognitive impairments, including an under-functioning working memory. Using Picmonic to study allowed him to efficiently store medical knowledge in his long-term memory, compensating for his deficit brought on by the brain injuries. Due to Salmon’s cognitive disabilities, he found himself having to put more time and effort into his studies than most would and he knew there had to be an easier way. Picmonic was able to help Salmon gain a better balance between life and his studies so could ace his way through medical school without letting it take over his whole life. In fact, he was so appreciative of Picmonic’s visual study aids and how they helped him learn and retain more in less time with fun characters and stories, that he works with the Picmonic team regularly to continue improving our platform. “I want to help because I want other students to enjoy the assistance I got by benefiting from the efficient storage of knowledge and long term retention,” he says, noting that using Picmonic will make for better trained physicians and healthcare personnel. His goal is to make it easy for anyone to learn, even when they have cognitive disabilities. 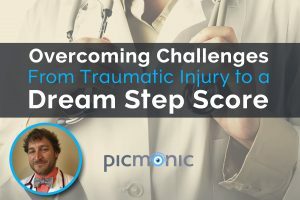 Studying with Picmonic’s visual study guide was a total game changer for Salmon, helping him do really well in medical school even with his brain injury, and it can be a total game changer for you, too. As Salmon explains, Picmonic uses natural systems that we already use every single day, like our eyes and ears, so learning is as easy as say, watching a TV show. 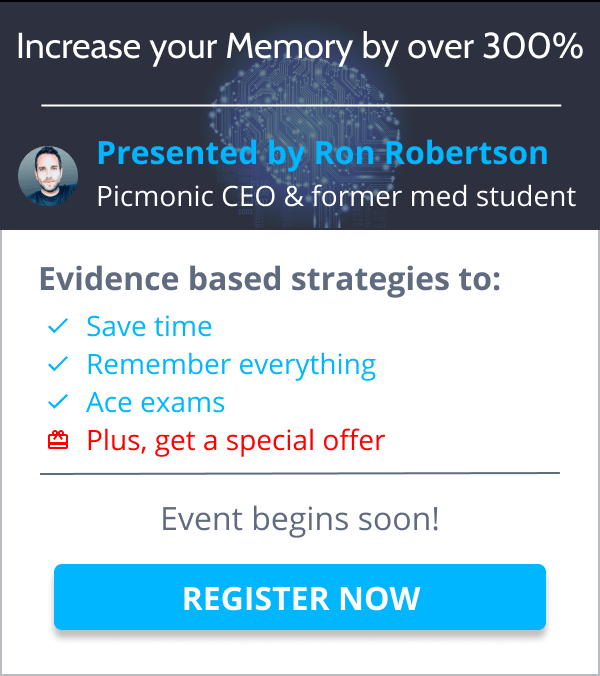 If you want to see how well you do on exams after using our visual mnemonic study guides, try Picmonic for free today! Sign up at Picmonic.com.